Jon Collin Furniture Makers Moan Live on WFMU Jon on guitar. Let Uneasy Listening Friday begin! Along for the musical ride. Good morning, Scott and all. @Fred - thanks for the link (in Jason's show) - saw it too late to respond. Sheer Hellish Miasma! hooray for Friday! Morning all, nice to see you. Sheer hellish miasma for a sheer hellish day. This song reminds me I need to take that load of bricks out of the dryer. CP! Funny I should find you here. evening, cheri... i think your eternity wish may come true! I'm working from home today in honor of my Bostonian friends. Happy hellish Friday to all of us! Damn, I need this Mainliner, mainlined stat. Has anyone purchased it yet? Finally in place after dry-rotting for ages waiting for a greenline train to nowheresville. Please proceed. well done cheri, ordered a couple of copies... the perfect gift! I may need to order a copy of of the Mainliner CD. I have some rough spots on my concrete sidewalk that I need to sand out. Clearly I missed a great one. Caught maybe the last 90 seconds of the Mainliner thing. And that's precisely the vibe I can use. Though a bit of drone does a body good as well. "Now While It's Still Warm Let Us Pour in All the Mystery"
this is getting expensive and it's not even 1 hour in. ooh. it chafes. and THERE IS NO OINTMENT. Just doin' my job B23. DAMN YOU PSF. Just take the money right outta my veins. JAPAN PRIDE! No ointment!!! Do not resuscitate. I need caffeine, but can't move -no WONT move to get it. the music fits the morning mood. I turned it up. NOT DURING SKULLFLOWER, CP! IT'S LIKE MUTINY OR SUMTHIN! ah, it's talkover stuff, we'll let it go this time. ruh roh- I'm gonna need to be walking the plank now. yeah, I'm going to need a shower after this set. bit of an EL TOPO madness vibe here. Dig it. I heard locusts are tasty. Apparently the 17-year mega brood locusts are supposed to emerge here in NY by the end of the month. This is the first Michael Hurley album I heard. It did not do anything for me at first. Then it turned into a major creeper. I really dig Hurley a lot now. I agree with ausmanx and cthulhu. Cecil Barfield's real name is William Robertson. He used a pseudonym b/c he was afraid if the State of Georgia learned he made money off of this recording in 1976, then he might lose his food stamps. or, maybe it was the other way around on the original LP, I forget. Having a hard time picturing Scott wrasslin' a bunch of volunteers. 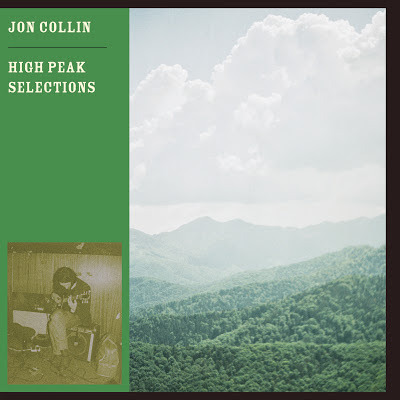 This Jon Collin is nice. Reminds me of the Paris, Texas soundtrack. Very nice set. I was not aware of Jon Collins. Thanks Scott. Thanks for having Jon play! Bryce! Bryce! Bryce! Bryce! Bryce! Bryce! Bryce and his ground-glass faerie dust will keep the good times rollin'; thanks Scott, have a great weekend!